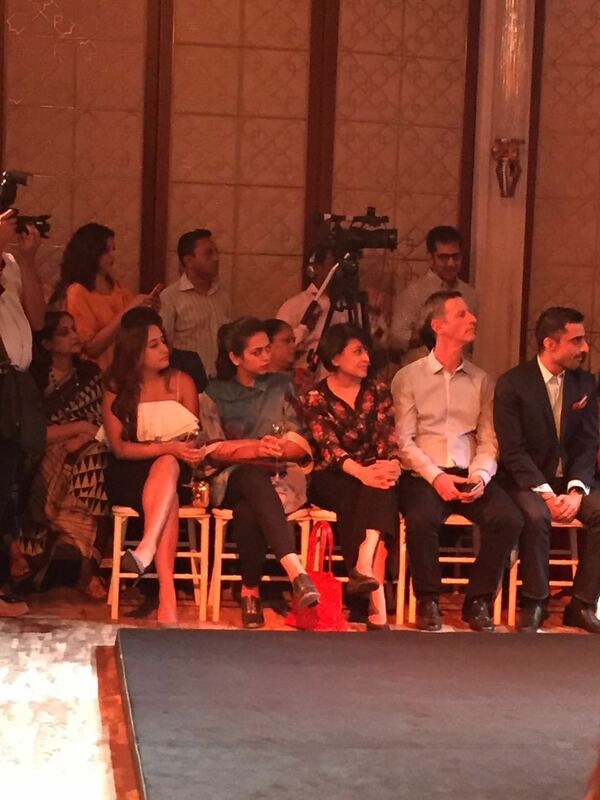 It was a pleasant surprise to see Natasha Dalal at Bibhu Mohapatra’s fashion show tonight. The pretty lady attended the do sans her beau Varun and was accompanied by a female friend instead. Ensconced in the first row, Natasha watched the show with her friend unaware that she was the cynosure of all eyes of the media. As soon as the show ended, the media tried to catch up with Natasha but the lady managed to give everyone the pink slip. But not before a journalist quizzed her on speculations about her impending wedding with Varun. Natasha politely declined to answer the question before walking off. While we certainly love Natasha, what would make for a cuter picture is Varun and Natasha posing together. We hope that happens soon too.